Everything that you see on the web is all magic of beautiful creations and animations just like you don’t know what flavor your food has, you will always get attracted towards the way it is offered to you. Web presence includes both content and animated form of conveying what your niche has. What makes your animations and videos are the way they are presented. 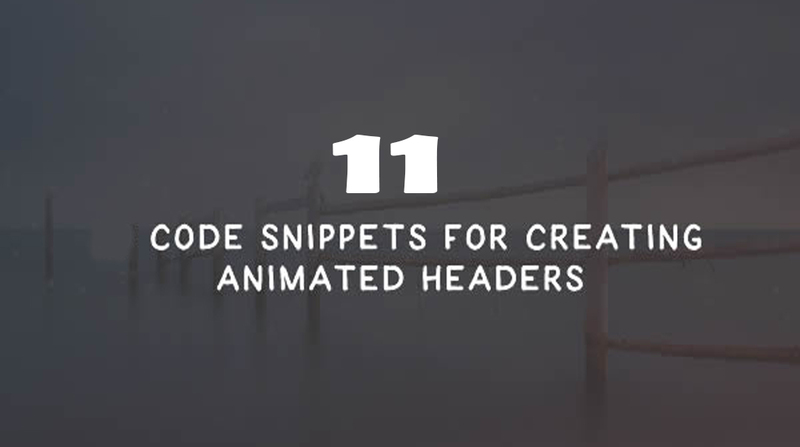 In today’s article, we will discuss 11 Code Snippets for Making Animated headers & Video Backgrounds. These are the Best Trending Web Development Tools in 2018 that will help you in growing your website with beautiful front end with little and no technical knowledge involved. It is one of the most popular choices that you can make right now. Many websites now are successful because these websites have significantly made their market impact with an excellent combination of beautiful solid canvas colors, drawings, and illustrations presented by particle animation. It can be handled by simply moving dots over the entire page. Sometimes it also paired with beautiful effects being triggered attached them to the cursor. It has cursor hover events to driven out the best constellation themed solution. It is among the best ways of making animated headers and video background. Three.Js library is smooth and clear manipulation with CSS3 and HTML5. It has a smooth rippling effect that similar to tides. You can create breathing canvas exploring them both horizontally and vertically. It is simple and establishes a right mood for your project. This is the best among animated banner examples. It is multi-layered and able to transform a dull and static background into composition with subtle 3D look and feel. The best thing you can do is to add your spruce instead of adding images. It is pretty beneficial and has a surreal scene with illustration. It is most suitable for various abstract animations. It can be handled well with mouse hover events. It is full-screen YouTube video with amazing background technique and is above than just solid choice. If you are looking for custom animated GIF this is the best thing you should look for. This pen runs completely in CSS3 and has little coding involved with a natural header that includes GIF in the background. It has amazingly well blended transparent colors in the background. It is variant and well sophisticated hardened and generously in a budget. It has a beautiful and inspiring exposure that gives you worth spending. One thing you should make sure before using it is the number of resources that WebGL takes. It lacks full browser compatibility however it always fly in the air. It is the excellent choice that fulfills your all requirements. Starting from large and mega hero headers to small fine heading styles, it gives both things to get utilized in video background. It is purely developed in CSS3. They are attached with HTML5 and yet can bundle of animated backgrounds that work dynamically. Most of the browsers are already support its every feature. 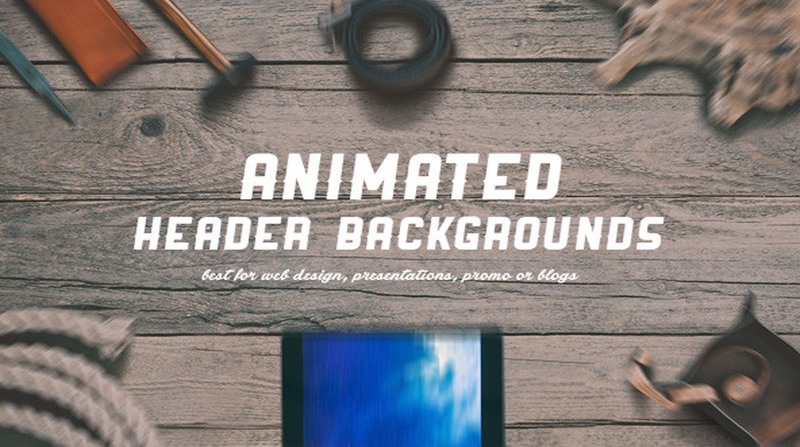 You can now simply design animated header with the flat image file. This image automatically zooms in and out at very slow pace and has classic parallel scrolling. It is not bounded by user’s scrolling behavior. You can get BG animation anywhere in your header section. Codes, here are really easy to setup making the perfect choice for your animated effect. This is one of the coolest backgrounds you can ever imagine. It has super specific designs as well. In your website, if you are into creating space-theme then you can check animated theme with innovation floating created by Jordan La Chance. It also uses static background photo with webbing animations that follow cursor around the page pixels. The important part is you might need little JS dependencies, it would work really great if you want to design it on your site. It is free to enjoy the innovation with. It can add header just as you wish. The best part is it runs on pure CSS and you don’t have to worry about JS libraries. Backgrounds you will see here are of different styles and exactly matches with different page headers. If you are really looking for amazing page header, this is mega add up to your list. If you are really looking for something great on your website that can look professional and really mesmerizing than might be you need to think about the one-time decision, isn’t? Hire a Custom Web Development Company that will help you surely for your all concerns. Coding pixel is the exact platform that one should look for as it has a team of professionals, all ready to help you with your every software development concerns.